Mara! have been invited to perform at the inaugural festival in August which is an initiative of the NSW Folk Federation, who would like to see it run annually. Festival director Warren Fahey is arranging a super lineup of artists for this inaugural event. Our great friends and colleagues Banditaliana, led by accordion supremo Riccardo Tesi, and feauring Claudio Carbone, Maurizio Geri and Luigi Biolcati, will be touring Australia in April/May, with major events to include the National and Fairbridge Folk Festivals. On Easter Thursday, the band will perform at Camelot's Django Bar in Marrickville, with guest appearances by Llew and Mara Kiek. Recording at Forbes St Studios in June, and previously at Megaphon Studios and the Sydney Conservatorium of Music, Mara! and Martenitsa will complete the bed tracks for their next CD. The works include pieces by composers Llew and Mara Kiek, Paul Cutlan, Laura Bishop and Sandy Evans with librettists Silvia Entcheva, Marcia Maria-Anthony and Stephan Kozuharov. Engineers Steve Morley, Chris Doherty and associate producer Guy Dickerson are also contributing their expertise. 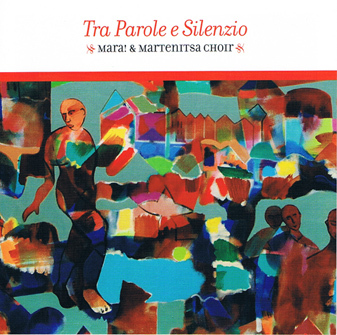 Tra Parole e Silenzio is a celebration of life's most precious and enduring treasures - love, home, family and friends, so exquisitely expressed in the poignantly tender poems of Eduardo Di Giovanni and stunningly interpreted by Mara! Band composers and performers Paul Cutlan, Andrew Robson, Steve Elphick, Llew Kiek, Mara Kiek and Sandy Evans, in collaboration with Silvia Entcheva, Naomi Vaughan and the magnificent Martenitsa choir. More about Tra Parole e Silenzio. CD available from our online store. "The Sydney Morning Herald once referred to Mara! 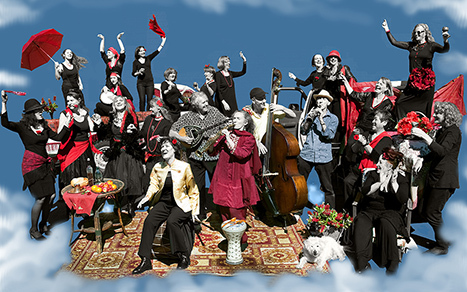 as "the Dom Perignon of (Australia's) World Music Bands", it was perhaps a touch premature, but this collaboration between the group and their Bulgarian-style choir certainly meets that appellation...an unqualified success with its feeling of fresh adventure, sumptuous singing and depth of musical experience." Track 1: "Prima Della Sera"
Watch video featuring "Partii Ch'era Il Giorno di Natale" studio recording (from Tra Parole E Silenzio CD), featuring archival stills and live footage from Woodford Festival amphitheatre stage on Dec 31 2011. 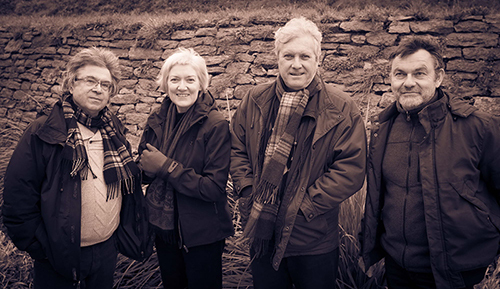 A new CD by the Marais Project "Spinning Forth" was CD of the week on ABC Classic FM in January. The album takes its name from a new work by Paul Cutlan, longtime Mara! band member, and the CD was produced by Llew. Two of the most-played tracks have been arrangements by Llew and Mara "The Cheshire Rounds" and "Streets of Forbes". One of many glowing reviews can be found here. Watch an interview with the composers and Jenny Eriksson, director of the Marais Project, below. 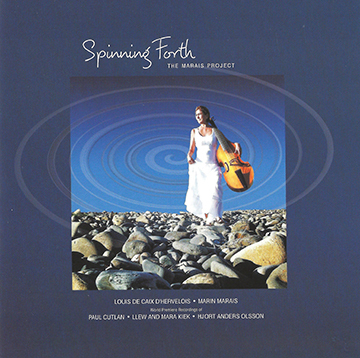 The Marais Project CD "Spinning Forth"